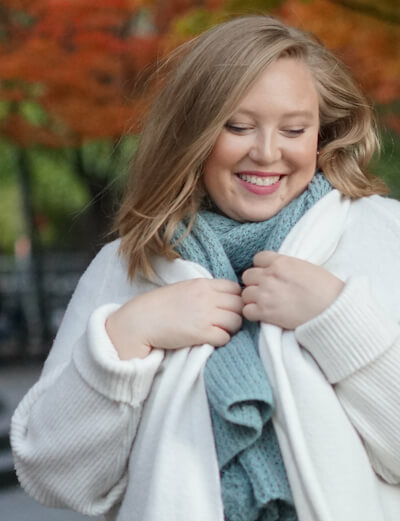 This November, we’re getting ready for the holiday season by embracing #CozyConfidence—get ready to snap some photos of your favorite snuggly outfits for a chance to win a box of cozy essentials. ‘Tis the season to bundle up and get cozy! This week on Dear Ashby, we focused on just that—highlighting cozy outfits that featured scarves, leggings, sweaters, and cardigans. Watch our recap video above to get inspired on how to flaunt your #CozyConfidence. This time of year, we focus on taking care of our loved ones. Between hosting, cooking, prepping, planning, and parenting, it can be difficult to make time for ourselves and easy to look ahead to the holiday to make sure everything is taken care for. But this holiday season, don’t forget about you! #CozyConfidence invites you to slow down and savor those cozy moments sitting next to the fireplace, snuggled up with family members. While a glamourous outfit will always get those compliments and Instagram likes, don’t dismiss the beauty in a casual outfit that’s as stylish as it is comfortable! So this November, take a few extra moments for yourself. Put on an outfit that makes you feel totally comfy-cozy and add those accessories that make your outfit feel special and intentional. When you snap photos to remember those special moments, make sure to use hashtag #CozyConfidence and post on Instagram—you’ll be entered to win a box full of cozy essentials for the season. 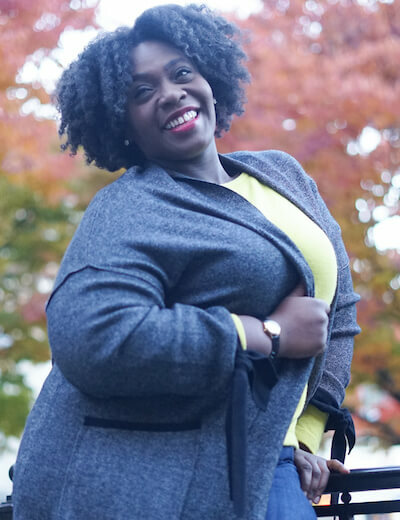 Snap a photo of you rocking a cozy and casual outfit that makes you feel amazing. Post it on Instagram with #CozyConfidence. Make sure your profile is public so we can see your gorgeous photo. One lucky winner who posts in the month of November will be selected to win a Dia Style Box full of cozy essentials. Ashby loves her cozy sweater and scarf because it makes her feel both stylish and comfortable. Christine layered a cardigan over a sweater for the ultimate cozy feel. Time to show off your favorite chunky sweaters, leggings, scarves, and cardigans! We can’t wait to see what you put together.